After a hard training session most people are stiff and ache to some degree a day or two later, especially if they haven’t been training for long. Rather than seizing up, keep mobile! We do plenty of joint mobility exercises in classes, so just choose a few and go through your own mobility routine. It only takes 5 minutes and you’ll feel much better for it! In fact, joint mobility is so beneficial, I wrote a blog entry dedicated to it. 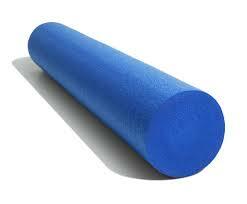 Following on closely from joint mobility is one of my favourite activities, foam roller exercises. Forget traditional Chinese weapons, kettlebells, clubbells, macebells, pull up bars, barbells….. the foam roller is king (and quite often the most painful, I have almost been reduced to tears at times!). It’s basically like having a masseur on hand 24/7, the deep tissue massage really helps with your active recovery. The technical term is self-myofascial release and as well as immediately easing those aching muscles, over time consistent use will help with mobility, flexibility and relaxation. It’s quite a good thing to do if you’re having a bad night’s sleep, instead of staring at the ceiling for hours, get up and give yourself a relaxing massage. If you can only get to one training session per week and you aren’t training at least once more on your own, improving fitness and losing weight is going to be an uphill battle. In this case you need to add another hard workout to your routine. It could be a martial arts based workout, sprinting, swimming, bodyweight, kettlebells….. a mix of all the above, whatever you choose, just get up and get moving! For those who can train with me or in classes 2 or more times per week, I will be pushing you pretty hard fitness wise, so focus a bit more on rest/recovery/mobility. Add in another hard workout from time to time but it’s a good idea to focus on forms/techiniques (for those who do martial arts training). Don’t forget, I offer Personal Training Plans for those who aren’t sure what they should be doing, want extra incentive to workout or really need some focus to their training. I can’t stress this one enough. Say you are training twice per week in a PT session or class, maybe you do another 2 hours training on your own throughout the week. That’s 4 hours of training. There are 168 hours in a week (yes, I just had to Google that! ), so what happens for the other 164 hours each week has a monumental effect on health, fitness, body composition etc. Now I’m all for cheat meals and a good night out but these should be the exception, not the norm if you want to make good progress. Focus on 7 – 8 hours of good quality sleep (see my earlier blog if you aren’t getting this! ), you’re just not going to progress and be optimal if you’re up playing a games console or watching back to back episodes of Game of Thrones until 4am (addictive as it is!). When it comes to your diet, don’t congratulate yourself after every hard training session with 2 bottles of beer and a Chinese take away! 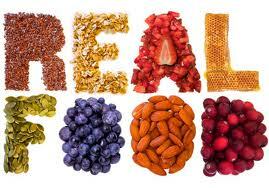 Eat good quality food with a good mix of carbs, protein and (healthy) fats at every meal. Pay particular attention to pre and post workout meals (what you eat the day before a hard training session is going to have a big effect) and enjoy a wide variety of food. Supplimentation is a massive topic all of itself – and one I will delve into in another blog – but it’s a good idea to at least make sure you are getting as many nutrients from your food and digesting it as well as you can, so I do like to take digestive enzymes and probiotics as a baseline (and eat as much organic food as your budget allows). Don’t get too obsessed with your training and let it have an adverse effect on your personal life. You don’t need to spend hours and hours training to get results (in fact the opposite will happen). Yes you need to put in plenty of hard work and for the martial artist, repetition is key to perfecting techniques (well, correct repetition is!) but be in it for the long haul. Training is a lifelong event, so don’t burn out in the short term, enjoy your training and allow the health and vitality gained from being fit enhance your everyday life with your nearest and dearest. It’s not enough to train hard, you also need to train smart. Previous Previous post: Lots going on!